Business has been slow for signing agents in recent months, and that trend is expected to continue. According to the Mortgage Bankers Association’s latest annual forecast, overall mortgage lending is expected to drop to less than $1.12 trillion this year — its lowest level since 2000, and one-third lower than 2013. “Despite an economic outlook of steady growth and a recovering job market, mortgage applications have been decreasing — likely due to a combination of rising rates and regulatory implementation,” said Mike Fratantoni, Chief Economist for the MBA. A projected 60-percent drop in refinance activity will account for the decline. Mortgage Refinances are expected to account for 39 percent of 2014 mortgages, down from 63 percent last year. 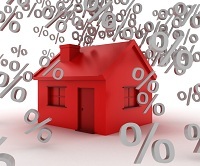 Mortgage interest rates are expected to reach 5.1 percent by the end of 2014 and 5.3 percent the following year, further trimming refinance activity. The forecast isn’t all bleak. Lending for new home purchases should rise about 4 percent next year.